For Doreen the 1920’s were an unpredictable time. Many families in the Saint John community walked a tightrope between financial struggle and success. Doreen was born on October 4th, 1926 to Viola and Frank Henry Arthurs. While growing up Doreen watched a lot of families struggle. Her mother and father faced their own challenges. Yet, they were fortunate to own “Quality Packing Company”, a local grocery store located at 523 Main Street North. The store ensured that their family never went hungry. As a girl Doreen watched her mother and father work as a team to build their success. They supported one another and weren’t afraid to get their hands dirty! Together, they cured their own meats, and laundered and repaired the store uniforms. The store kept her parents hands full. Doreen is adamant that her mother made sure that her children came first. They never had to lift a finger and were well looked after. Anyone who knows Doreen today can attest to her suburb baking skills, accompanied by her warm welcoming smile as you enter her kitchen. Amazingly, Doreen says that her baking cannot compare to her mother’s treats. Her mother supplied the store with homemade pies, cookies, bread, cakes, etc. As you can imagine they always sold out. Doreen’s mother taught her how to make her own treats from scratch. More importantly, she taught Doreen that if you work hard you can perfect what you already have with a little hard work. This message is something that Doreen has carried with her throughout her life. Throughout Doreen’s life she has passed on her kind and understanding nature. Now as Doreen continues her journey, she calls Birch House at Loch Lomond Villa home. 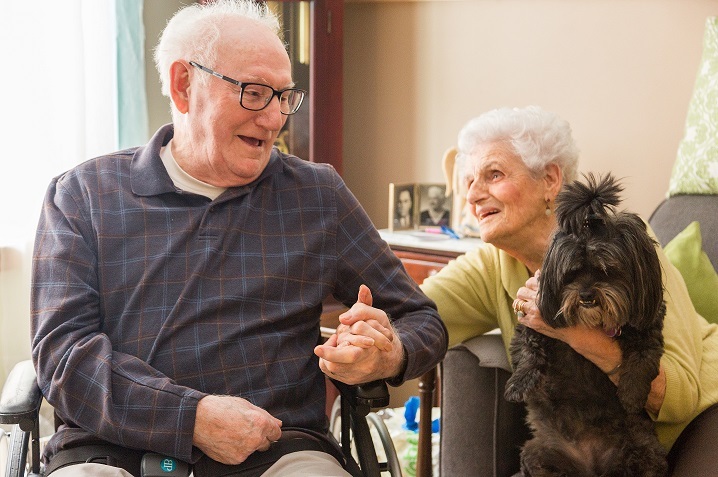 According to Doreen when she arrived for her first visit all she could say was “WOW!” Since this initial visit Loch Lomond Villa has truly become home to Doreen, her husband Buddy, and their dog Tzu-Li.